over the far north to the mid 20`s elsewhere. Planes continued to be de-iced at Houston Bush Intercontinental Airport Wednesday afternoon as airlines resume their normal schedules. Houston Independent School District tweeted all schools and offices will reopen Thursday. With clear, sunny skies today, Houston thawed a little. As the sun came out, people headed back out. Traffic on major highways came to a stop or was delayed due to icy conditions on sections of the Southwest Freeway, Highway 59. Traffic crawled around 9:45 a.m. today at 610 West South Loop near North and South Braeswood and Post Oak in Meyerland. For a second day, many schools remained closed. 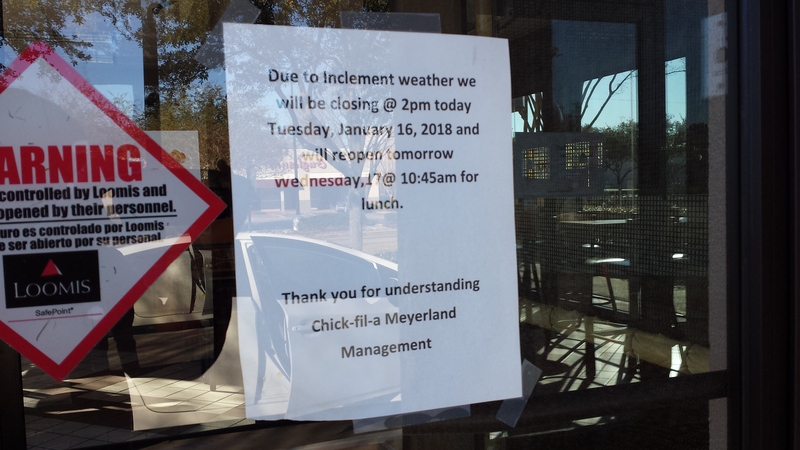 Businesses like the Chick-Fil-A Meyerland closed yesterday and reopened later today. By this afternoon, it was business as usual in metro Houston. The Harris County Toll Road Authority waived fees until noon today due to the ice, snow and sleet that fell Tuesday. Houston’s Metro buses also resumed service Wednesday afternoon. 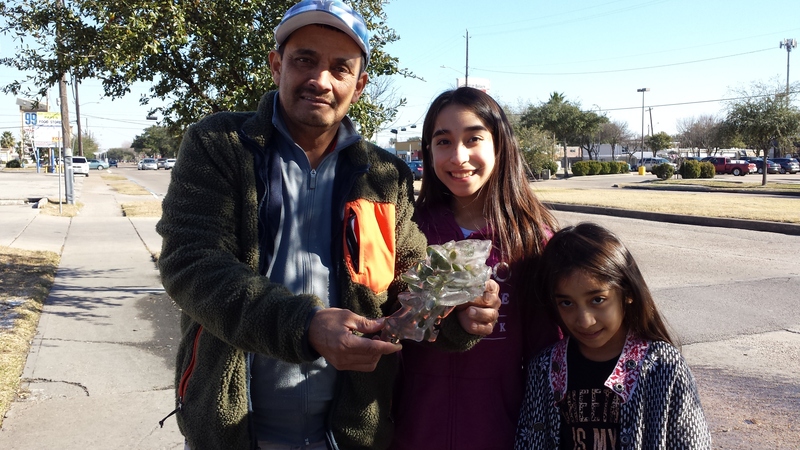 Houston’s diverse, ethnic business communities along Bellaire Boulevard, Chinatown and Asia Town also were back up to speed this afternoon. 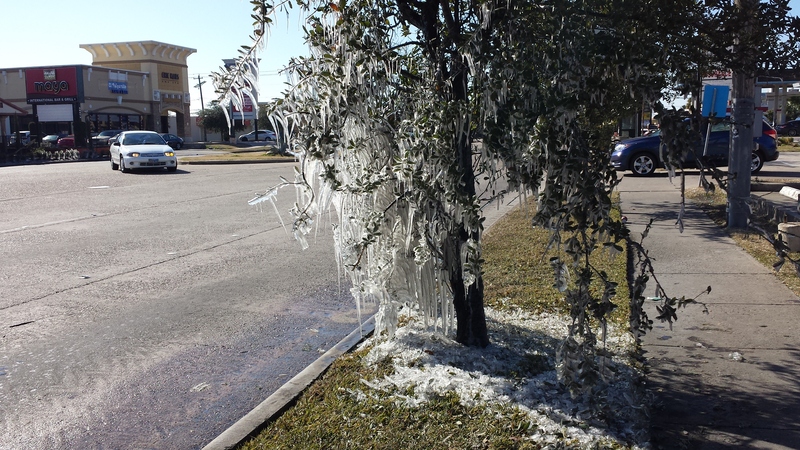 The Aguilar family got out to enjoy the sunshine and this frozen tree with icicles at 5920 Bellaire Boulevard Wednesday afternoon. For weather and school reopening updates, tune into local stations, the National Weather Service, NWS social media. 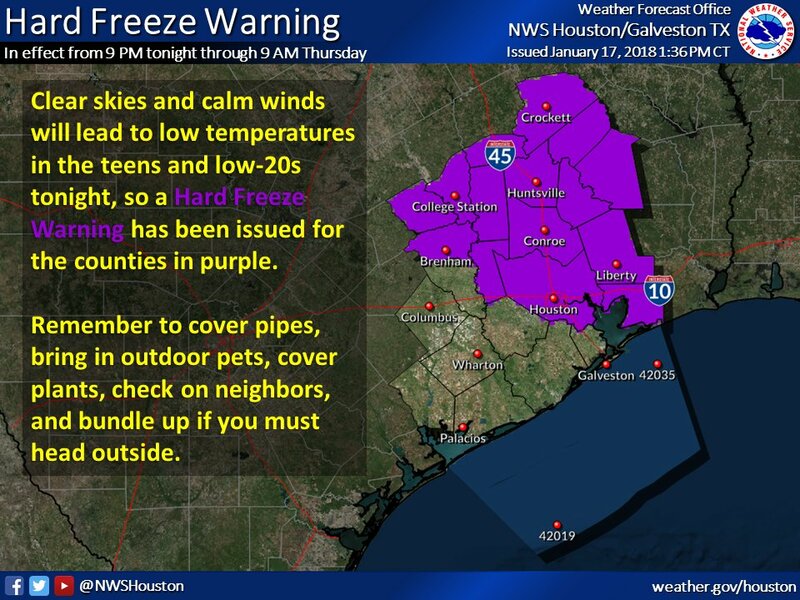 This entry was posted in Airline Travel, Airports, Asian Community Houston, Harris County News, Houston News, Houston Weather, National News and tagged Hard Freeze Houston January 2018, Hard Freeze Warning for Houston, Wintry Weather in Houston 2018. Bookmark the permalink.